For over 50 years, Tzell has provided personalized service and flawless execution in VIP corporate, entertainment and luxury travel. Tzell Travel Group’s team of passionate, well-connected travel experts will transform your every journey into a memorable experience. Safety and comfort are always our foremost priority, and you can rest assured that no detail is too small for our expert advisors to handle. 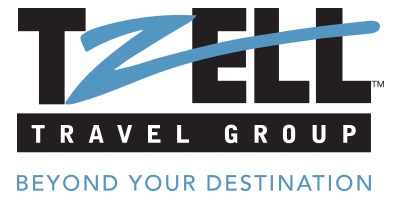 Tzell Travel is the largest wholly-owned travel agency division of Travel Leaders Group, North America's largest travel agency enterprise. This means we are able to offer our clients exclusive access to products, rates and amenities you cannot get online. We look forward to showing you the world through our eyes. As part of the Tzell SELECT Hotels & Resorts Program, the stunning hotels, spas and resorts you find on this website will provide you with special amenities and VIP-worthy privileges that virtually upgrade every moment of your stay. To experience all that SELECT Hotels & Resorts have to offer, contact your Tzell travel advisor today!